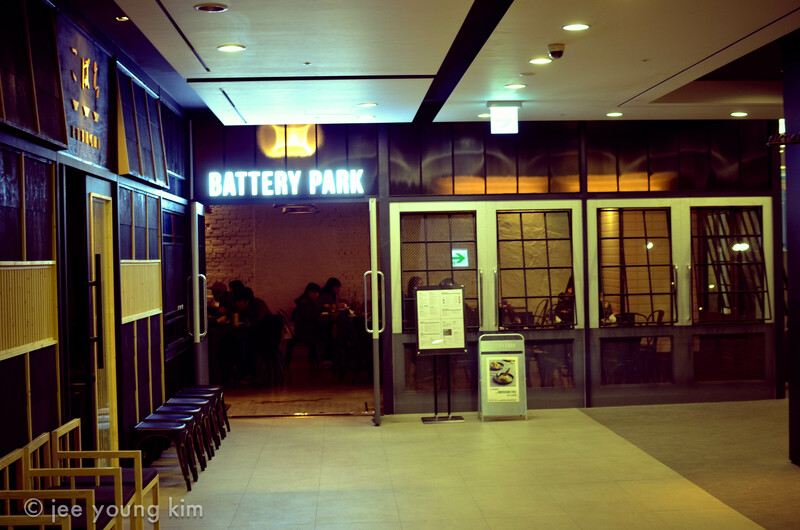 If you are living in Seoul or planning on visiting, you must visit Battery Park located near Myeong Dong station. 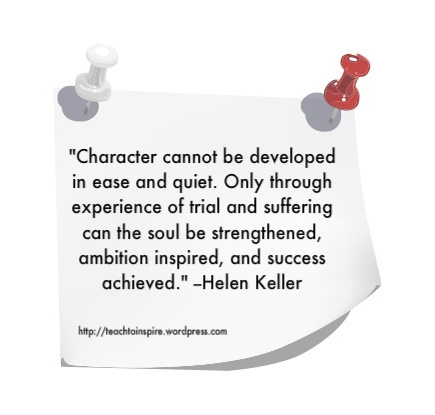 (From exit 4, walk straight a few minutes, and you’ll see the State Building. Take the escalator down and you’ll see it across the Starbucks.) 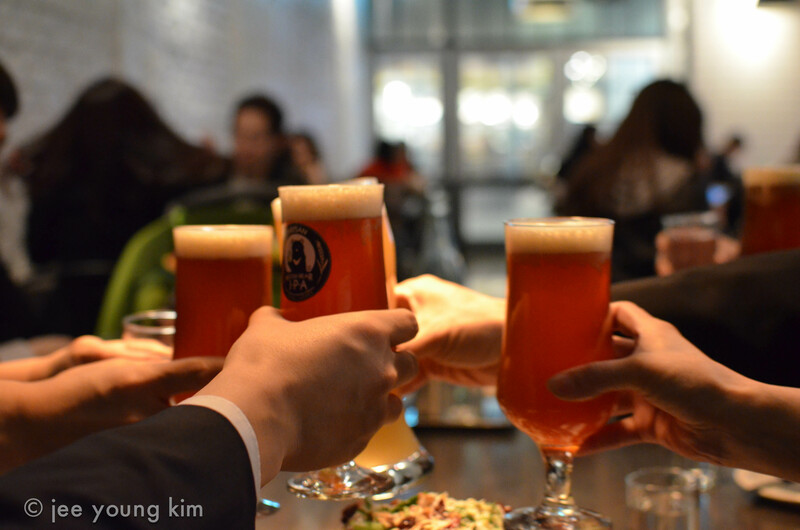 Little did I realize that my cousin, who is a few years older than me has become a restaurant mogul in Seoul. 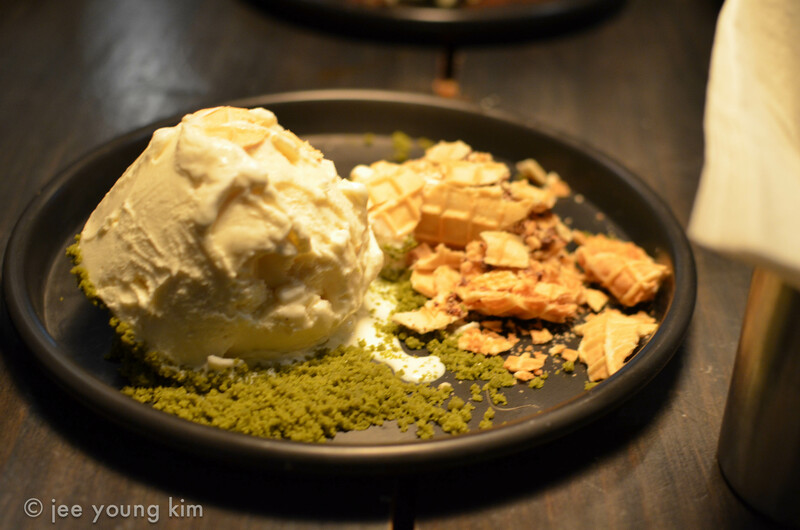 He has recently opened multiple restaurants, ranging from Korean, Japanese, fusion, and even an American brunch place in the works. And, I’m in the midst of convincing him to open a Korean restaurant in Singapore (of course). 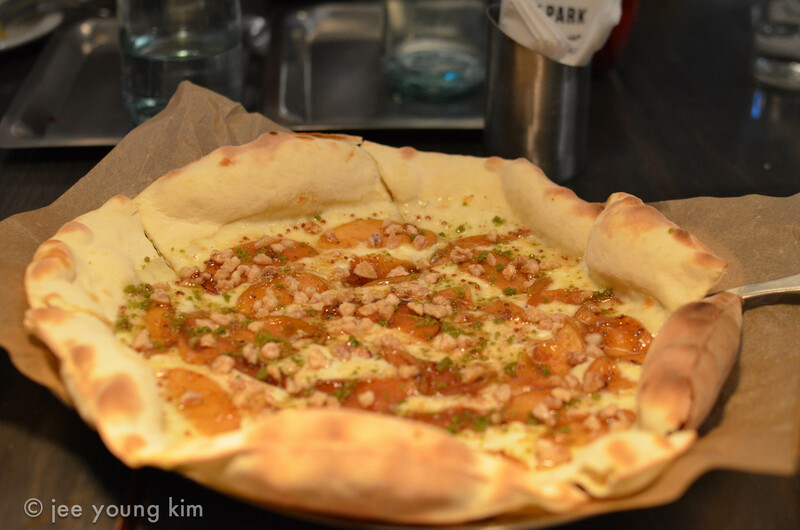 During my short and unexpected visit to Seoul a month ago, I was able to finally visit two of his restaurants that are located in the Myeong Dong State Building. We had a big family dinner after my grandmother’s burial service at his two restaurants. They are actually located right next to each other. One is called Battery Park and the other one is Kobachi. The “younger” adults, went to Battery Park, a fusion place, while the “older adults” went to Kobachi, a Japanese place. I really loved the modern and clean interior of Battery Park. I was impressed with their menu and range of choices. 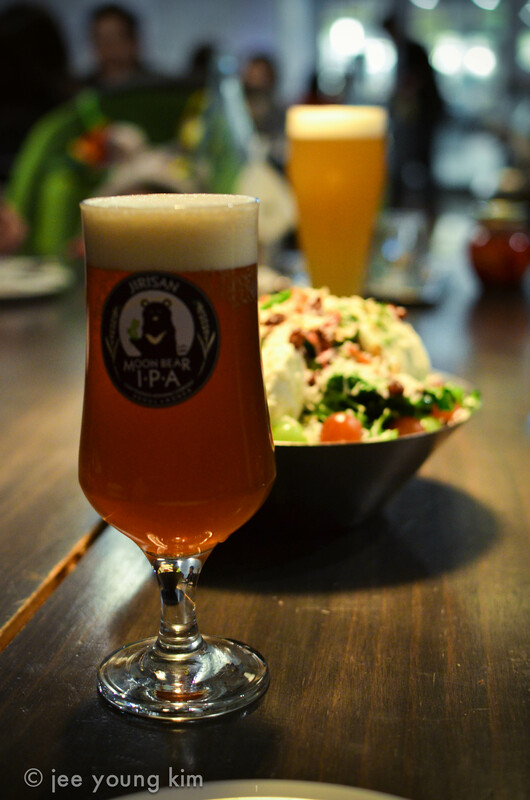 They even had beer from Craftworks Taphouse there. Well, I quickly learned that when your cousin is the owner, we get great service and selection of food! He ordered us appetizers and entrees from the menu. 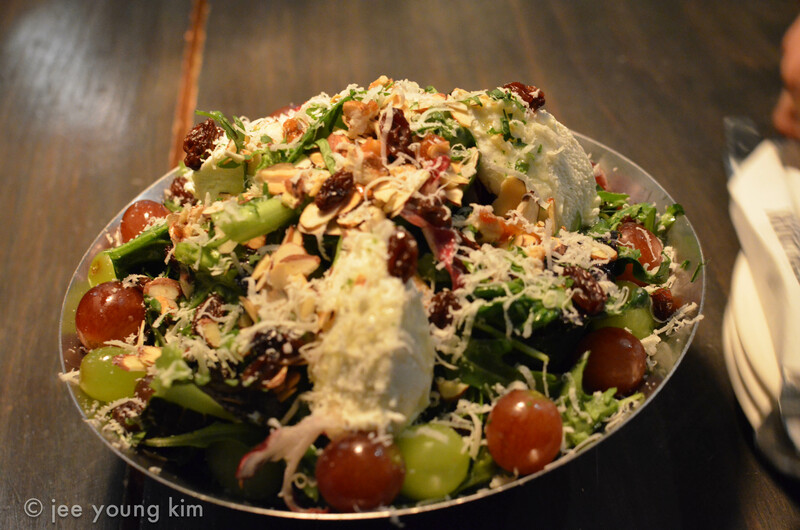 There was a delicious salad with grapes and goat cheese. 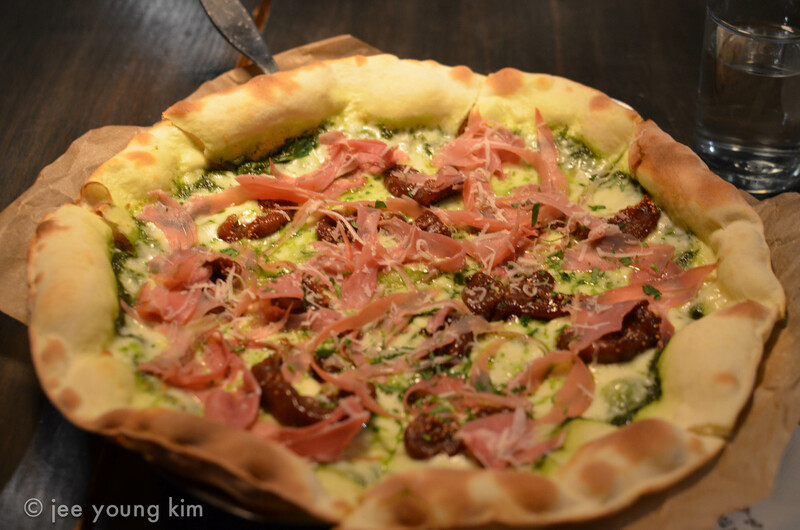 I specifically asked for the fig & prosciutto pizza with pesto sauce, which was well worth it. 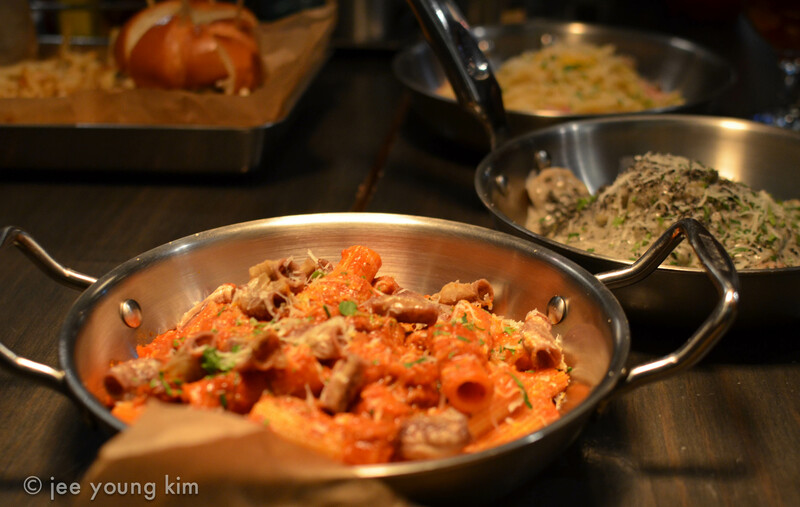 There were also some unique fusion dishes like the spicy pasta with pigs intestine (Korean dish). I also really recommend the black sesame cream spaghetti! That might have been my favorite after the pizza. 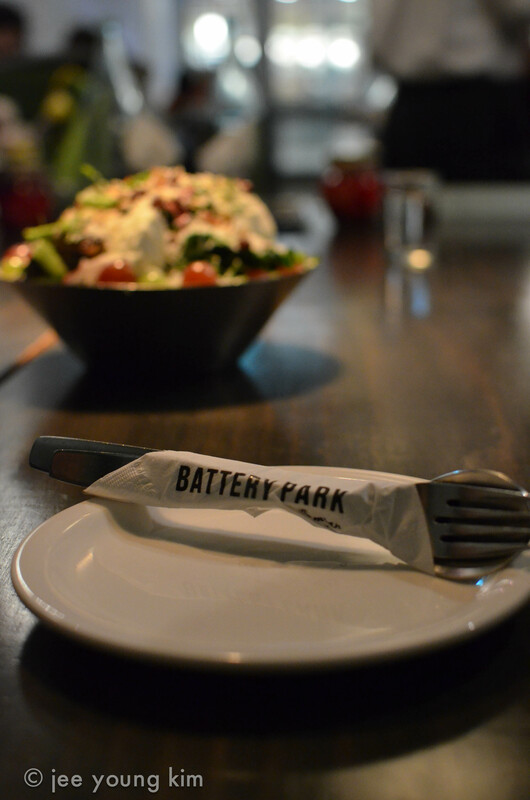 Battery Park also has a great selection of bar food including big hamburgers with lots of french fries! 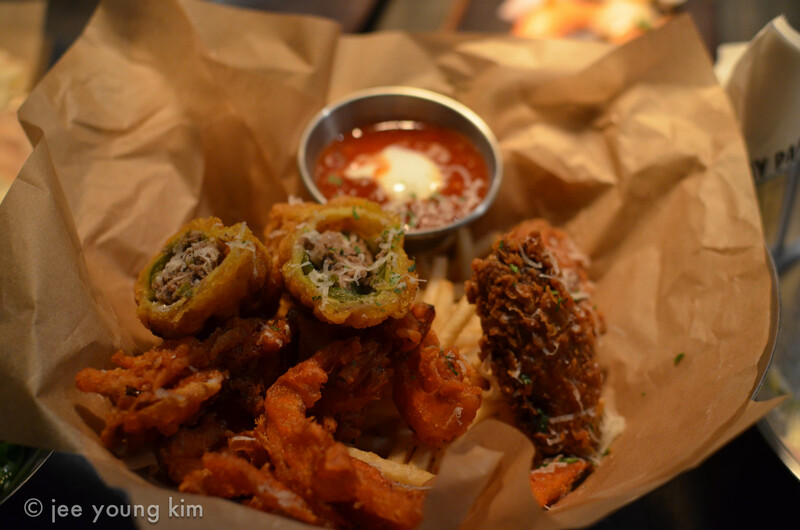 We tried another fried platter that included fried chicken, onion rings, fries, and more. At this point, I was getting pretty full as the entrees kept coming out. My cousin even sent over a few sushi platters from next door. 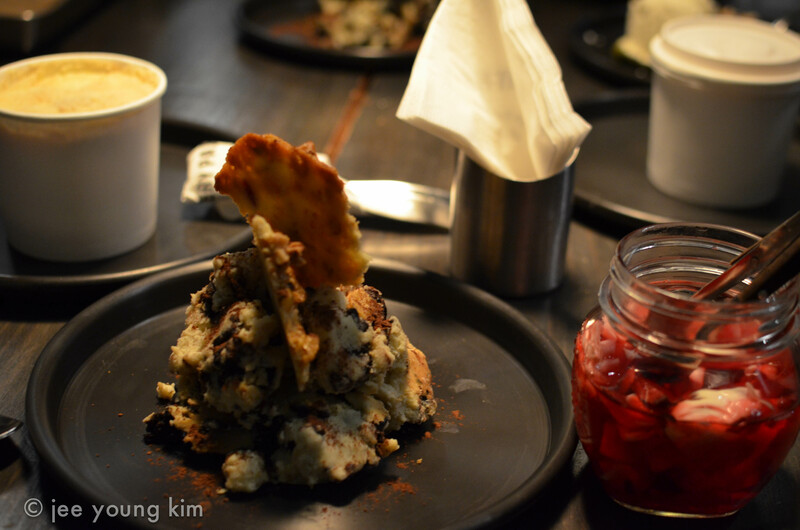 It was quite the interesting, but delicious combo of dishes. I knew my grandmother was smiling down on us. She would have been so proud to actually come to one of my cousin’s restaurants in person. She was definitely one of the best cooks I knew. I walked back to my apartment and I passed by the familiar durian stand with the strong pungent smell, the seedy motel with “interesting” late at night guests, and the comforting signs of 7-11 on the corner. After a long thanksgiving weekend in Malaysia, I was glad to be back. Sure it was nice staying at the fancy Shangri-la hotel, but the minute I got to my apartment, I felt relieved to be back home. Living abroad, it’s easy to get confused about where your “home” truly is. My permanent address is my parent’s home back in New York. Yet, I don’t really have my own room there anymore. A bunch of my winter clothes and books are stored in the basement in boxes. Every year as I go back to visit, it feels a little less like my home and a bit more foreign. After 4 years in Korea, it felt like my home. Now that I moved, I miss Korea terribly at times. 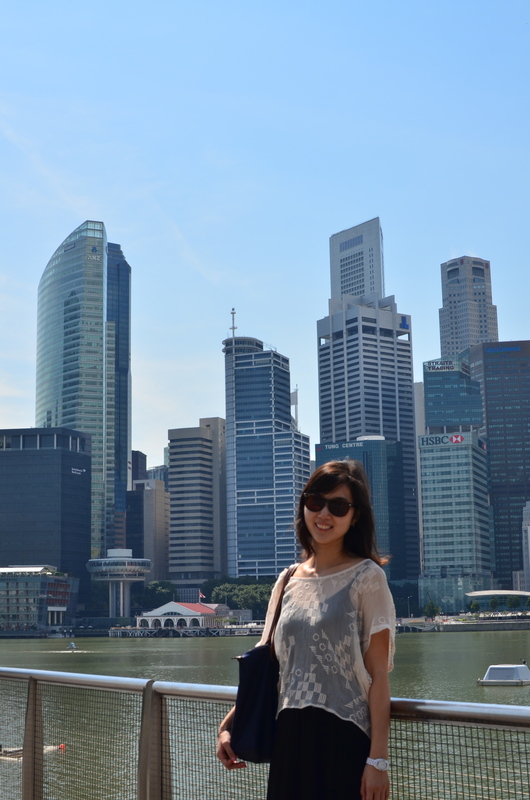 After 4 months of being here in Singapore, this foreign place is slowly starting to feel a bit like home. Even though they say home is where the heart is, what do you do when pieces of your heart are scattered all over? 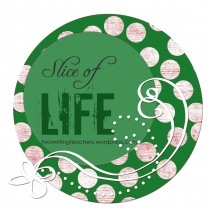 The Slice of Life Challenge happens every Tuesday and is hosted by the Two Writing Teachers. 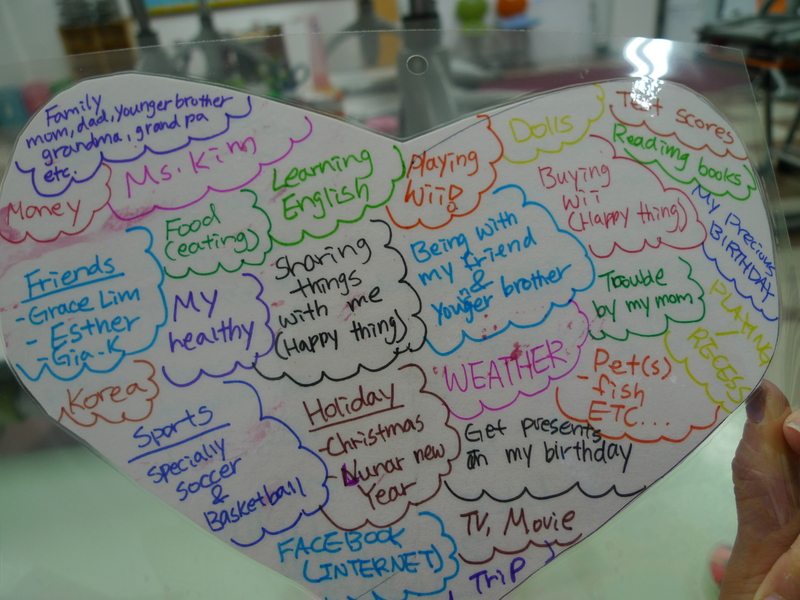 I’m a bit late posting this, but here are some of the heart maps & heart poems my students created. 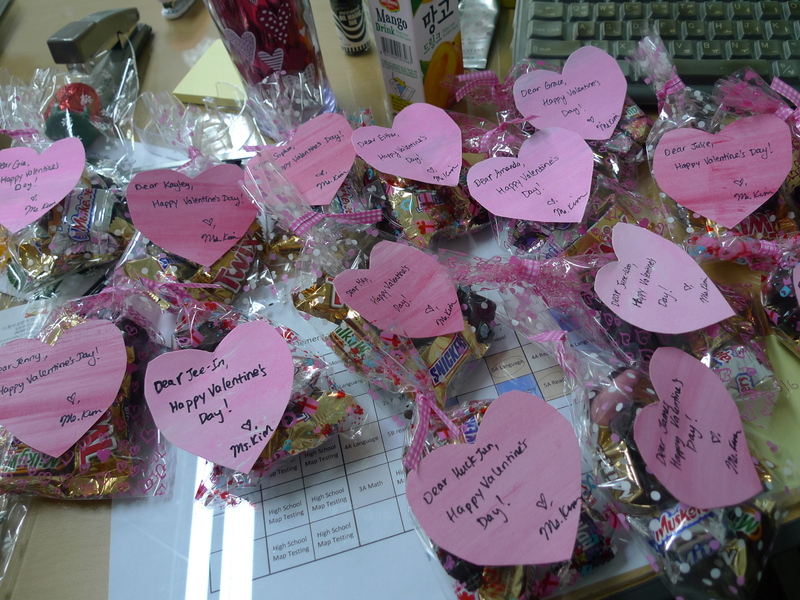 I had the students cut out hearts using the painted paper they made. One one side they put a heart map, where they map out all the things in their “heart”. 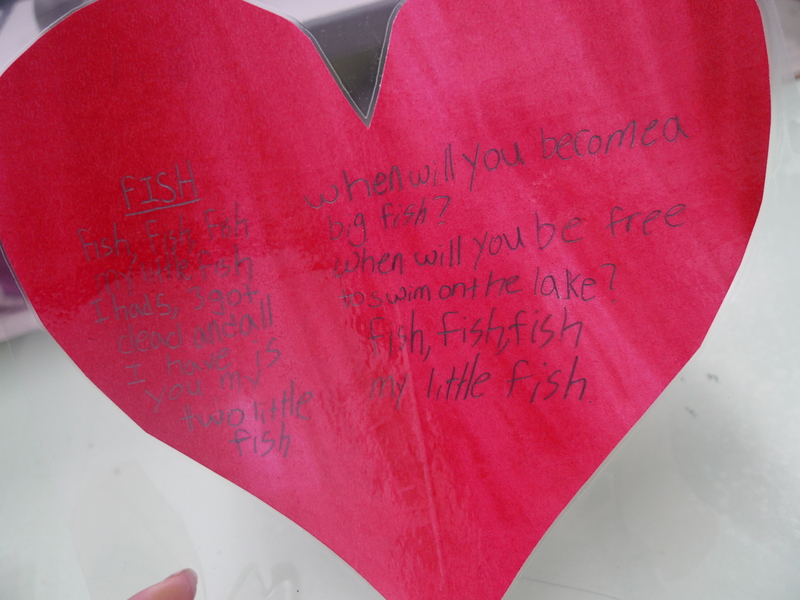 Then, I had them choose one thing from their heart map to write a poem about. 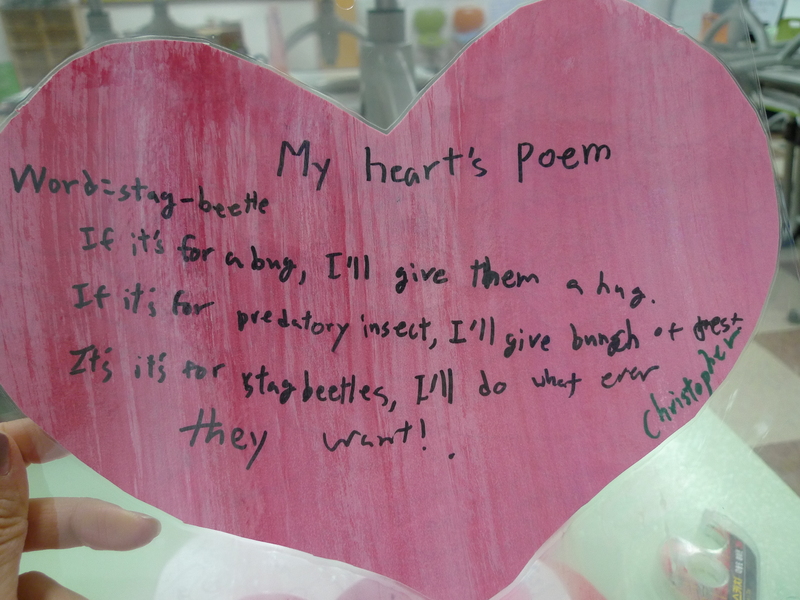 The poem went on the other side. 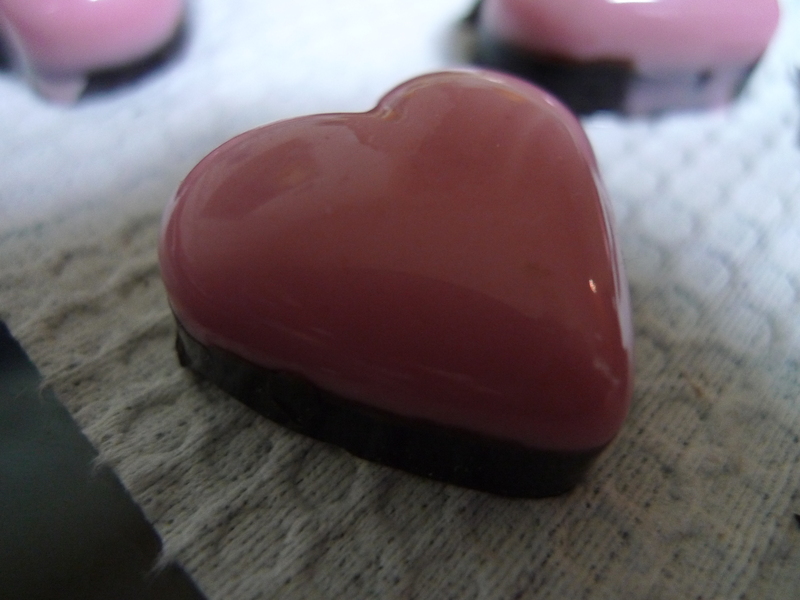 After, I laminated their hearts and punched a hole at the top. I hung the hearts up in my classroom. 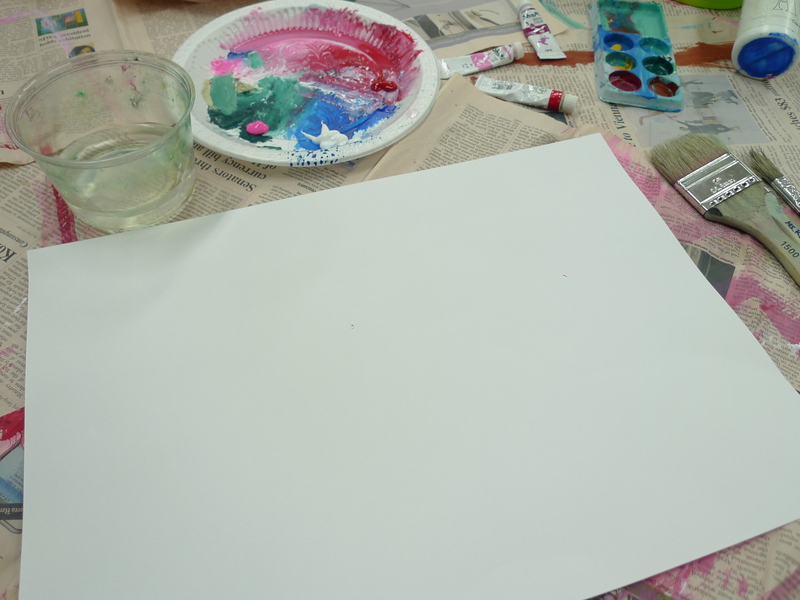 I learned how to make painted paper from my a great co-teacher last year! So I had the kids paint red & pink painted paper and this is what we can came up with. 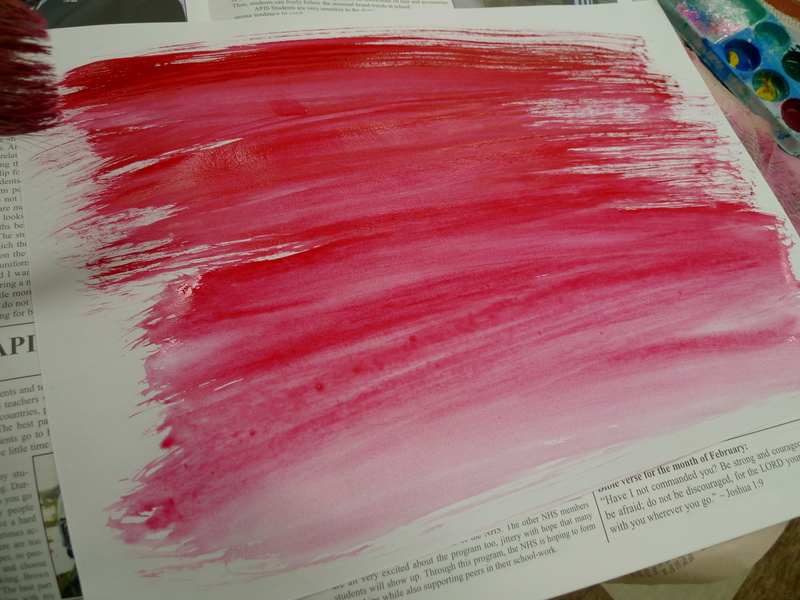 Next, paint horizontal streaks across the paper. 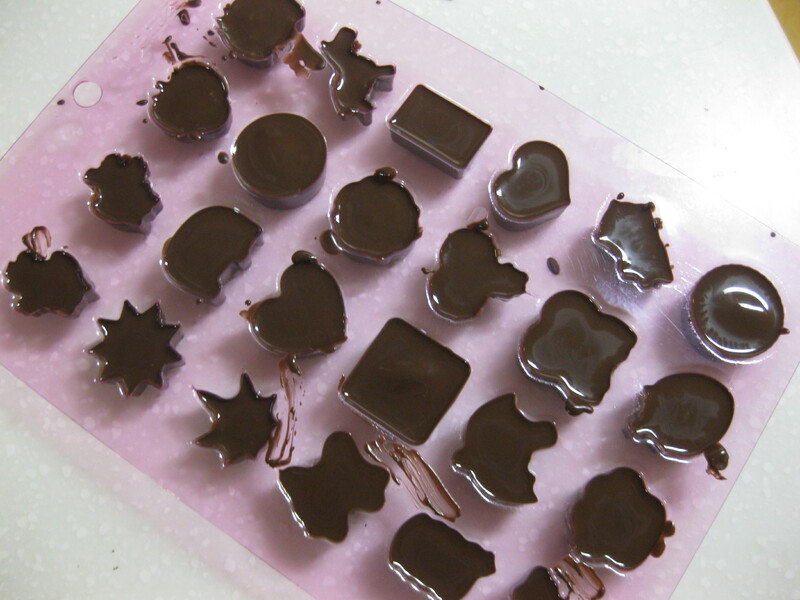 For fun, you can have students paint dots or designs on top! 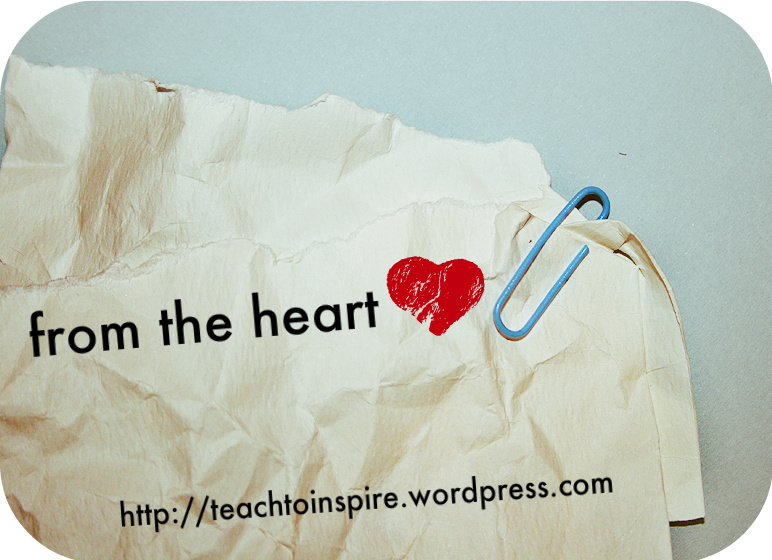 Now with all this paper, we cut out hearts where students made heart maps and put their poems on. We will be hanging them up in our room. I will try to posts some photos on Monday! 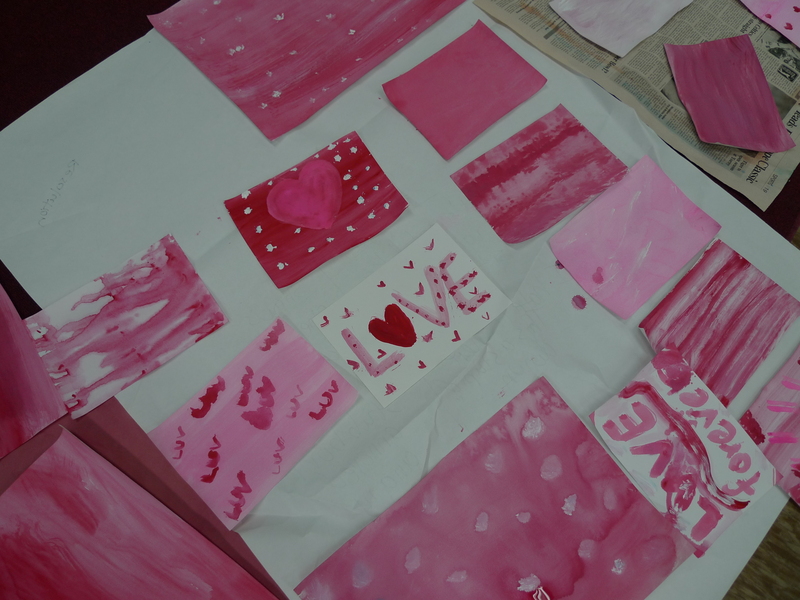 Then, we also used the painted paper to make Valentine’s day cards and crafts.